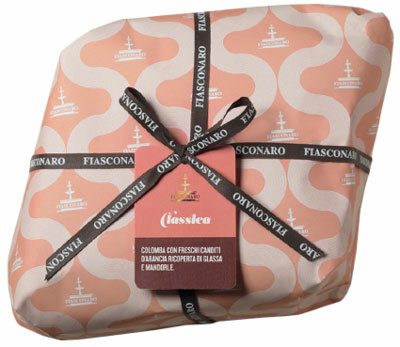 Fiasconaro Colomba Classica Easter Cake...a time-honored Easter Cake filled with candied orange & topped with pearl sugar & Avola almond icing. The buttery dough is fashioned into the shape of a dove & slowly baked to perfection. Colomba di Pasqua, "Easter Dove", is a traditional Easter cake...an Easter version of the Christmas specialty panettone & pandoro. Fiasconaro Colomba Classica Easter Cake.